I know which of my prints I like the best. I know which ones I feel have subtle tones, richness of detail and composition that draws me in. Funny thing though, when I show my prints to others, they don’t always ‘pick’ the ones that I think are my best work. Case in point. In my last post, I wrote about two images of mine that were published. I had sent eight or nine images to the publisher and the two that were chosen were actually my least favorite of the entire group. I have had a few small shows of my work. Some of the images that I have sold have been ones that I liked quite a bit, but I have also sold ones that I did not find as compelling, though to have included them I must have also ‘liked them’ to some degree. In short, I am frequently surprised by what photographs people are drawn to compared to the ones that I think are my best. Here is one example of this that particularly stands out to me. 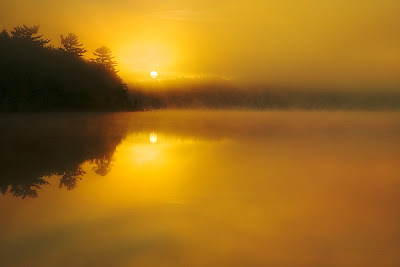 This image, entitled “Yellow Morning”, is one that I really enjoy. There are smooth and subtle tonal changes in the print and the stark simplicity of it tends to keep me looking for more subtleties within. Perhaps I like it because viewing the image brings me back to that place on that magical morning. But, interestingly, no one else seems to see much in the image. I have never sold one and no one has really even ever given it a second look. When I tell people that I really like it they tend to just shrug their shoulders. I find it interesting that it is so difficult to predict what other people will like. On the surface, it seems simply a matter of taste……some people will like some images, subjects etc and others won’t. But it does raise some questions. Let me state at the outset that I am not implying that one should create their art in order to satisfy anyone other than themselves. That said, I think we all have images that we have created that we liked (I am speaking of images that we felt strongly enough about to spend the time and effort to print), but which, as time goes on, we feel are no longer representative of our best work. In situations where one is trying to, say, sell their artwork or submit work for publication, should these types of prints be removed from ones portfolio? What if it is apparent that many people like them? What would have happened had I not included the two prints that were published with the submission? I don’t know how to answer these questions. I am curious as to how others have dealt with this issue.